Every piece of land tells a unique story. Some stories are simple and short while others, like Westport Drumlin’s, take you on a colorful journey filled with unexpected and fateful turns. Fortunately, Westport Drumlin’s most recent chapter ended happily for a local family on December 17, 2015 when Groundswell acquired the remaining 9.7 acres of a 110-acre farm around the state-owned drumlin on the east side of Waunakee in the Town of Westport (click here for a map). This small yet important inholding rejoins the 100-acre property Groundswell acquired from Jim Koltes and his brothers Terry and Butch in 2010. And it enables further protection of another native prairie remnant and provides an exhilarating 360-degree view of an undulating patchwork of prairie, woodland and farm fields. Jim Koltes’ great-grandfather settled on this site in Westport in 1887. 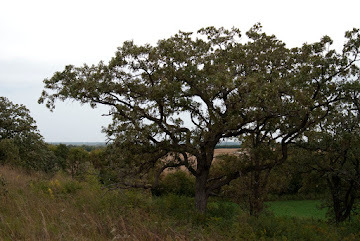 The family farmed successfully for the most part, despite it being considered a “badland farm” due to the land’s prevalent limestone bedrock fragments and outcroppings. Unfortunately, tragedy struck two generations later with the sudden deaths of two of Jim’s uncles; one in childhood following a playful summer jump into a cattle watering tank, and the other several years later. The brothers’ deaths took a deep toll on Jim’s father. But, farming and life moved on. In 1938, fate had a different kind of heartbreak in store for the family when the third-generation farm was lost to foreclosure during the Great Depression. For the next 41 years, the property changed hands several times and was home to a wide and interesting variety of agricultural operations. Dairy cows and potatoes, canning crops, organic vegetables, tobacco, a large-scale rabbitry, and the insightful introduction of strip cropping to help halt soil erosion. 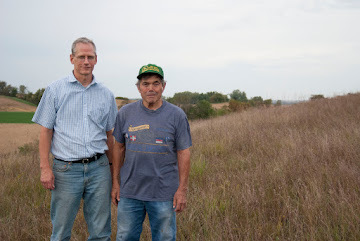 After four decades of growing up and farming elsewhere in the surrounding area, Jim Koltes and his four brothers were able to purchase back their family farm in 1979. Better yet, their father was still alive and deeply gratified to see the farm back in Koltes hands. Originating with 14 acres, the core of the State Natural Area was acquired by the Wisconsin DNR in 1984. Farming continued all around it, as did nearby quarrying and scattered home building. 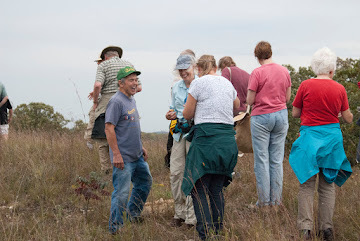 Habitat restoration began on the drumlin, and neighboring naturalist Nancy Schlimgen began her studies of the rare prairie bush clover plant. 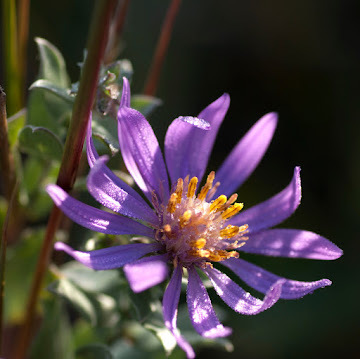 Her dedicated work, along with that of DNR’s State Natural Areas crew and volunteers from the Prairie Enthusiasts, helped to preserve and manage the rich natural resources of the drumlin and some of its satellite prairie remnants. 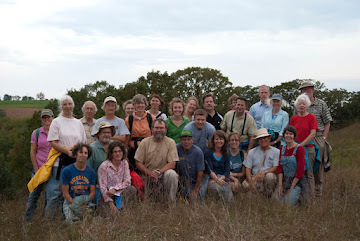 In 2009, Groundswell started acquiring more land around the drumlin. With this latest purchase, Groundswell has completed four purchases, totaling 213 acres. Now, Prairie Partners student interns, crews from Operation Fresh Start, and volunteers from The Prairie Enthusiasts and Groundswell and Badgers Volunteers, have joined with the State Natural Areas crew to greatly improve the area. 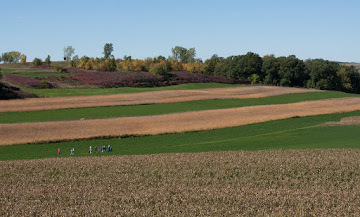 Through strategic brush cutting of non-native and less desirable vegetation, prescribed burns, and seed collection/distribution, volunteers and workers continue to improve the area’s high-quality dry prairie and oak savanna landscape. 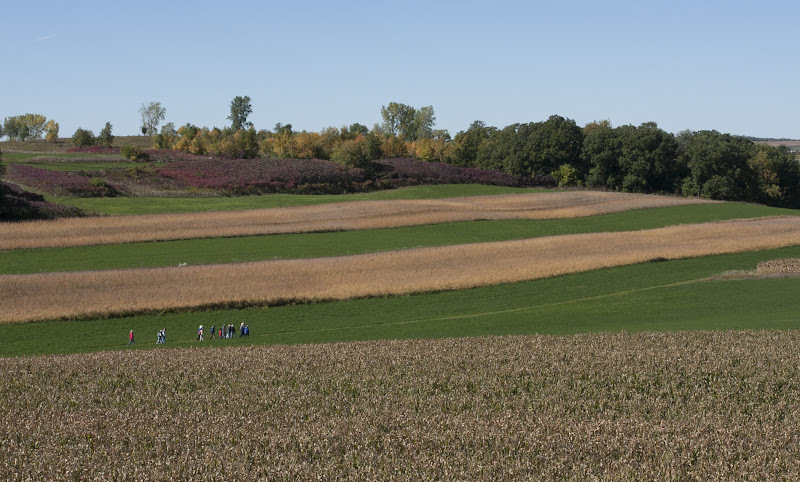 The resulting improvement in habitat draws more native grassland birds, and fosters Wisconsin’s largest population of the federally-threatened prairie bush clover, the state-endangered red-tailed prairie leafhopper, and many more species worth protecting. As in many great stories, what appears to be an ending is also a beginning. Acquiring these 9.7 acres will enable Groundswell to create new opportunities for educational study, recreational hiking, bird watching, habitat restoration, nature appreciation, and school group outings at Westport Drumlin. It will also create a much safer entrance and trailhead that will allow more vehicle turnaround room, and expand visibility of oncoming traffic. Even though the natural area is permanently protected, thanks to the generosity and conservation-mindedness of its former landowners, a lot of work still lies ahead in restoring and maintaining this precious landscape. Groundswell will continue to coordinate this critical work and the funding it depends on. And Jim Koltes will be able to continue visiting and enjoying the beautiful rural land his family has loved for generations. Said Jim, "This farm has been in and out of my family for over 125 years. I know it is a special place and it means so much to me to know it will be preserved forever in its natural state." 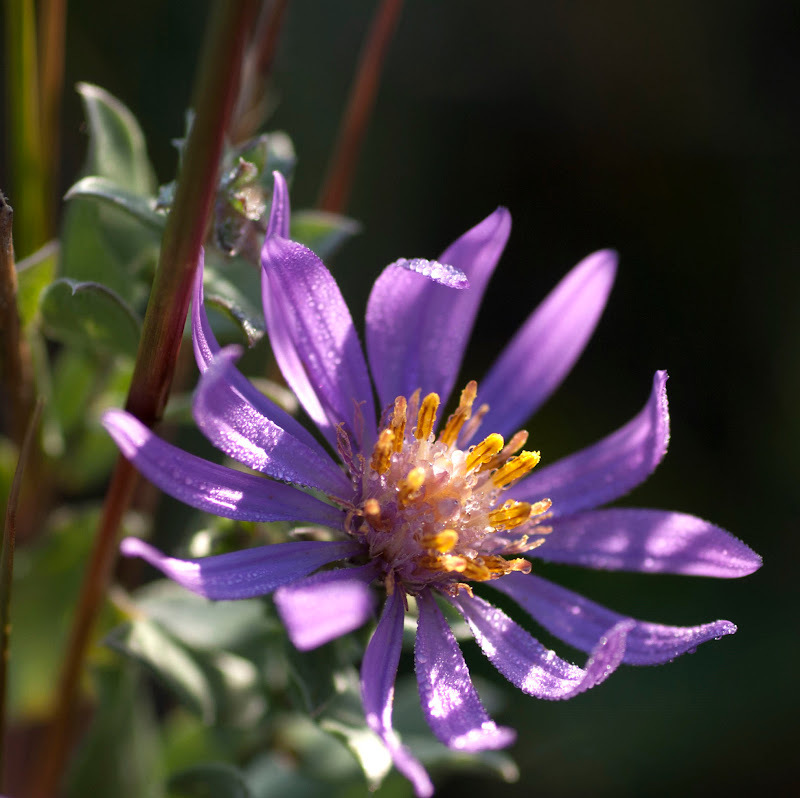 Learn more about the Westport Drumlin State Natural Area, restoration being done there, and view maps. Click here for a one minute video with the Landowner, Jim Koltes. of Westport Drumlin in the December 2015 edition of Wisconsin Natural Resources Magazine. Interested in seeing more photos of the Westport Drumlin?